Jared assists the college and its academic units with classroom scheduling, class schedule edits via CourseLeaf Section Scheduler and Summer Sessions planning. He also handles meeting scheduling and administrative functions for the College Curriculum and Academic Standards Committee (CC&ASC), Continuous Improvement of Teaching and Learning (CITL) and the COE Safety and Security Committee. In addition, Jared provides administrative support for Dr. Sohrab Asgarpoor, Associate Dean for Undergraduate Programs. 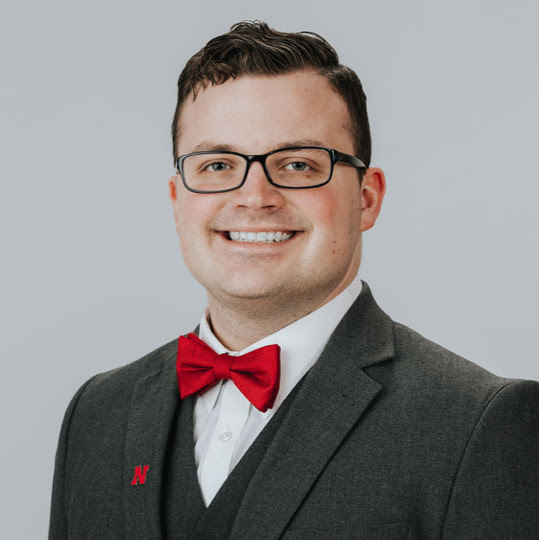 Jared started at UNL in 2017 and joined the College of Engineering in August 2018. He graduated from Northwest Missouri State University with a B.S. in Social Science Education.